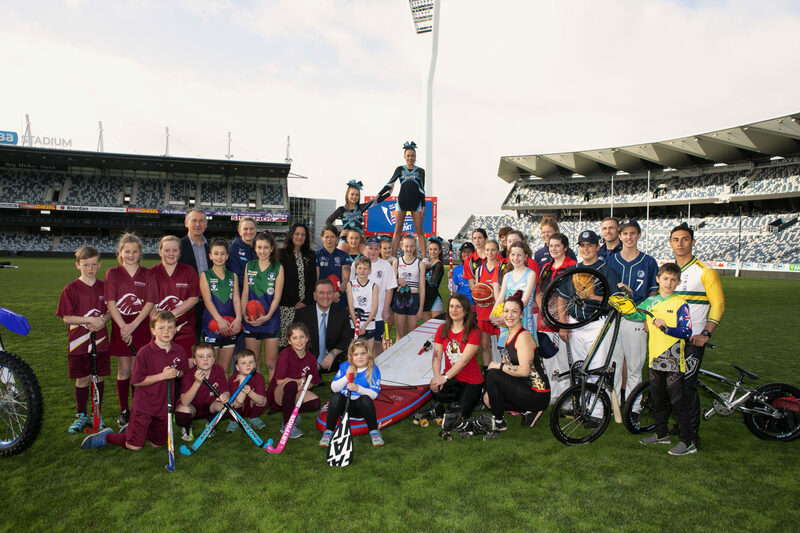 On the 6 and 7 of October, the Kardinia Park Precinct will host Geelong’s inaugural ‘Festival of Sport’ a celebration of physical activity, health, and the diversity of sport in the region. The free event will provide a showcase of the state’s best in sport, welcoming the community to Kardinia Park to participate in over 30 different ‘come and try’ activations each day, including standup paddle boarding, rugby, tennis, roller derby and more. Festival goers will have the chance to view the Stadium through the Geelong Football Club Charles Brownlow Stand Tours, meet with sporting stars and participate in ‘Kick to Kick’ on the ‘hallowed turf’. Closing out the Festival will be the feature event – a rugby union match between Melbourne Rising and Western Force with National Rugby Championship points up for grabs. The Festival will promote physical activity and health and wellbeing, showcase the diversity of sport in the Geelong region, celebrate the local community’s strong connection with the Kardinia Park precinct and promote Geelong and the Greater Barwon region as a major events and tourism centre. There will also be an opportunity to meet some of Australia’s biggest sports stars and be photographed with some of the nation’s most prized trophies including the Australian Open Men’s and Women’s Cups, the Hyundai A-league Championship Trophy, the NRL Premiership Trophy and the ICC World T20 men’s and women’s Trophies. Minister for Sport, Hon. John Eren MP, believes the GMHBA Stadium and Precinct is the perfect venue for the Geelong Festival of Sport. Mayor of the City of Greater Geelong, Bruce Harwood also welcomed this morning’s announcement.